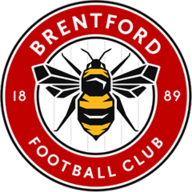 Barnet's FA Cup adventure came to an end as Brentford won the second instalment of the battle of the Bees 3-1. Goals from Sergi Canos, Julian Jeanvier and Neal Maupay sent the last non-league club in the competition packing as Brentford booked a trip to Championship rivals Swansea in round five. There was to be no repeat of the drama of the original tie last week, a six-goal cup classic capped by a sensational free-kick from Dan Sparkes to earn the National League side a replay. There was added spice to the Griffin Park encounter after Barnet chairman Tony Kleanthous said he would boycott the game due to a dispute over the away ticket allocation. Tensions also boiled over on the pitch with an ugly melee erupting on the touchline in front of the home fans. Kleanthous had called the match one of the most important in his club's history as they attempted to reach the fifth round for the first time. However, they got off to nightmare start when Canos struck after only seven minutes. From a short corner Said Benrahma skipped along the byline before drilling the ball across goal to give the Spaniard a simple tap-in. Brentford's second goal arrived just after half an hour, Jeanvier volleying an inviting cross from Benrahma into the roof of the net. 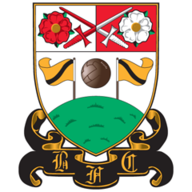 Barnet needed a spark to ignite their challenge at the start of the second half, and it arrived in the form of a meaty challenge on Canos by Medy Elito, which sparked a melee between the two teams. The incident certainly woke Barnet up and Sparkes, on as a substitute, attempted a reprise of his free-kick heroics only to shoot narrowly over, before Craig Robson crashed a header against the crossbar. But Maupay, having twice been denied by Barnet goalkeeper Mark Cousins, all but ended their hopes when he tapped in Henrik Dalsgaard's cross. The goal of the night belonged to Barnet, though - David Tutonda hitting a blistering consolation right in front of the raucous away end 15 minutes from time.